Discount Office Supplies Easier than Ever to Get! Congratulations to all the recent high school and college graduates! I hope you all have a great summer, and wish you luck in this new chapter in life. If you’re entering the job market, don’t let all the gloomy prognostications about the employment situation get you down! My advice to you is to work your contacts! Scouring the want ads and sending out untold numbers of resumes is all well and good, but the best job leads come from the people already know — your friends and your parents friends, former employers, teachers and academic advisers. Just like recent graduates, OnTimeSupplies.com is entering a new phase of life. 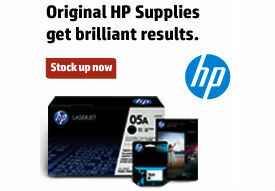 The Daily Deals on office supplies and office furniture are now Weekly Deals. Now you have a full seven days to take advantage of deep discounts on the office supplies you use the most. New deals are posted every Wednesday, and expire the following Tuesday night at 12 am. If you hurry, you can still take advantage of this week’s office supplies discounts. Right now, you can save 85% on Wasau Astrobrights easel pads, 83% on HON mobile pedestal files and 82% on Kantek monitor filters. The new weekly format makes it easier than ever to get great discount office supplies. Plus, you can still sign up for e-mail notifications so you never miss a great deal on the office supplies you need! So, Class of 2010, you may be done with teachers, term papers and dry academic texts, but you’ll never be done with pens, flash drives, note pads, other basic office supplies. Whether you’re a new grad or an old pro, do yourself a favor and get great office supplies at great prices with Weekly Deals from OnTimeSupplies.com!